We became aware that an assemblage of land was being pursued at an urban infill site near Love Field Airport. We purchased a 3.2-acre tract of land with a long-term ground lease because it sat at the hard corner of the intersection. 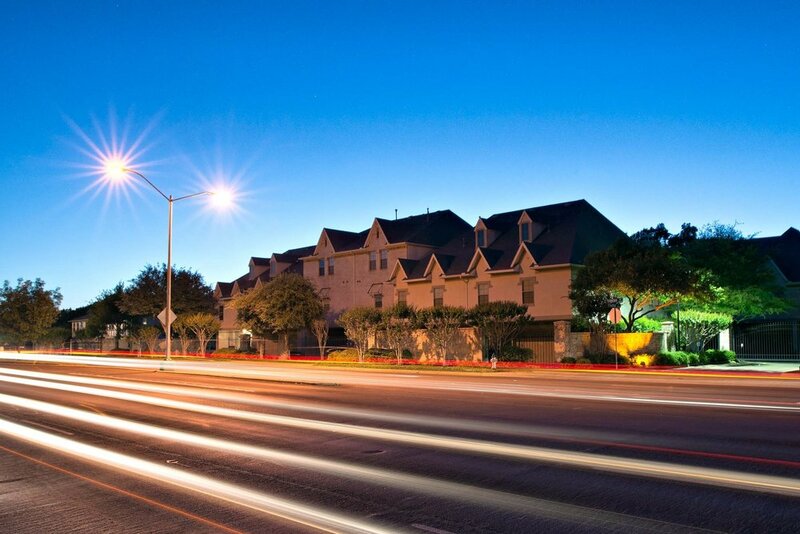 Subsequently our property became the most prominent part of a 37 acre mixed-use project. We were able to increase the ground lease by 2.5 times at renewal and continue to hold this property. Soon to be renovated multi-tenant building located at Garland Road and Easton Road in Dallas, Texas. This East Dallas property has great visibility from Garland Road and is just minutes from the Casa Linda, Lakewood and Lake Highlands neighborhoods. When we went to Huntsville to look for a site to build for a small pad user we found a far greater opportunity, a large site available directly between a Target and Kroger power center and a Wal-Mart Supercenter. We were able to be 100% leased to Spec’s Liquor, Chipotle, BWW, and Mattress-1 prior to the land purchase, and then developed the 25,000 square foot center with an agreement in place to sell upon completion. The property sold 16 months later at a 2.30 equity multiple. We contracted for a run down, former restaurant that had been closed for nearly five years because we saw the site as a potential infill bank location. We worked closely with the neighborhood organization and city councilwoman to rezone the property for the drive-thru bank use. We successfully negotiated a lease with Wachovia Bank prior to closing. Thirteen months later, we sold the property to an investor and achieved a 1.70 multiple on our equity investment. Finding 37,000 square feet of buildings on 3.6 acres of land – in an area originally developed in the early 1900’s – can be quite a challenge. The property was dilapidated and encumbered by a significant environmental problem caused by a dry cleaner. We worked with the owner to develop an environmental cleanup plan, which took place prior to the purchase. Prior to closing we were able to lease the formerly vacant anchor and lease the former dry cleaner site to Capital One Bank. We worked closely with a very active neighborhood group and city leaders to garner support for the redevelopment and created a valuable asset for the community. We subsequently sold the project at a 2.00+multiple to our equity. We thought that Bank of America might want to move from an in-store grocery location to a freestanding building, We contracted for property at the opposite corner and were able to change the zoning of this site from residential to commercial. We worked very closely with the city councilman, who understood the value of bringing an additional commercial tax base to the district. We secured a signed lease prior to closing and sold the property seven months later garnering a 2.93 multiple on our equity investment. A Dallas City Councilman was concerned that a closing supermarket would leave a hole in this older area of an East Dallas neighborhood and become an eyesore. Upon his suggestion, we found the property owner and purchased the building. 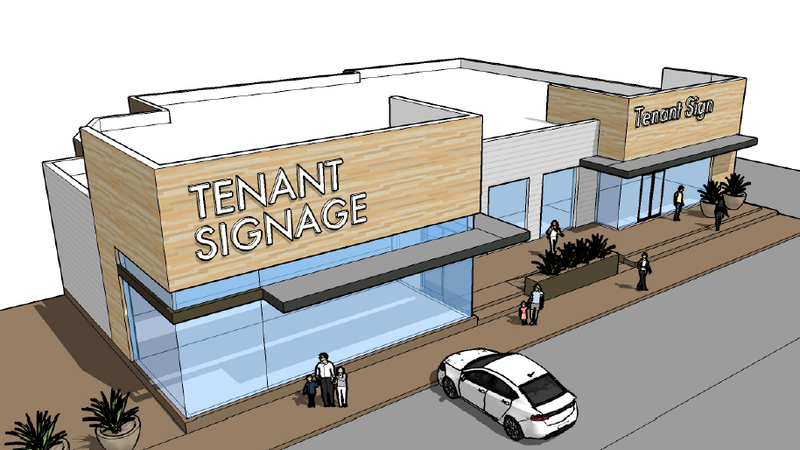 We created a redevelopment plan for the 35,000 squarefoot building and subsequently sold the site to another grocery operator. The property has since become an asset to the neighborhood instead of a liability. We were able to achieve a 3.00 multiple on our equity in this investment in just one year. We contracted for this eight-acre site that featured a beautiful creek running along the back of the property. We knew zoning would need to be changed from single family to townhouse. We were able to overcome significant opposition from adjacent property owners through many meetings with the city councilman and neighborhood residents. Ultimately the property was re-zoned to high-density townhouse zoning which significantly enhanced the property value. We eventually assigned our contract to a townhouse developer at closing for a substantial profit. We purchased this property leased to Hostess Bakery at a below market rate. We were able to terminate the existing lease, renovate, and subdivide the building. We leased the property to three new tenants at much higher rental rates. Upon the sale of the property, we were able to return a 1.50 multiple on our equity investment in just over a year. Newly renovated shopping center located at the NWQ of Jupiter Road and Garland Road in Dallas, Texas. The property is adjacent to the 225,000 square foot White Rock Marketplace and across the street from Fiesta Supermarket.